Top Shelf Productions, 9781603093545, 196pp. Writer Van Jensen (PINOCCHIO, VAMPIRE SLAYER; THE FLASH) and artist Jose Pimienta bring you the strangest hero that comics have ever seen! 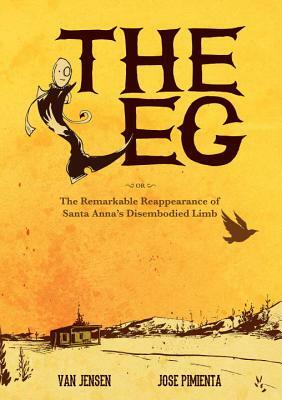 The disembodied leg of Santa Anna has returned from the grave -- and with Mexico once again in peril, it's up to the Leg to save the country in this rollicking, surreal adventure story that blends Spaghetti Westerns with Mexican history and folktales. Join the Leg on his unforgettable journey.